When a pregnant woman is imprisoned on suspicion of murder, she must fight to prove her innocence from behind bars or her baby may be given away to whoever framed her…. a new powerful, pacey prison based mystery thriller that will have your gripped. What if you witnessed a violent crime & no one believe you….except the attacker? 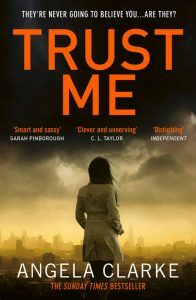 A tense page turner from The Sunday Times bestselling author of the Social Media Murders Series. You have six seconds to read this message and twenty four hours to save the girl’s life. A gripping, fast-paced crime thriller from the bestselling author of Follow Me. 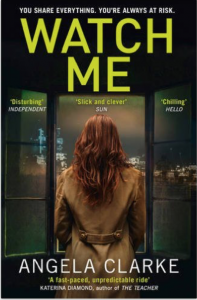 Watch Me is the second instalment in the Social Media Murder Series. More info here. If a serial killer was tweeting clues about his next victim, would you follow him? 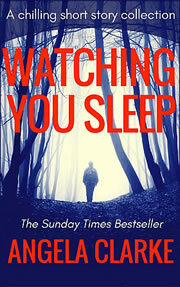 A tense, chilling crime thriller bestseller. 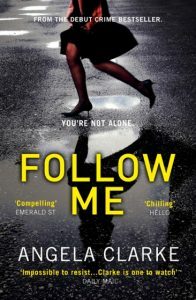 Follow Me is the first in the Social Media Murder Series. More info here. 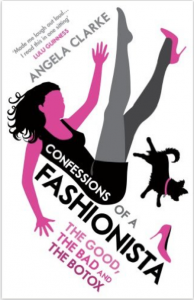 The good, the bad & the botox – Angela’s hilarious real life memoirs of working in the fashion industry. More info here. Plus exclusive giveaways, publishing insider news and updates when you join Angela’s Pen Knife Club newsletter. Just finished reading On My Life, what a brilliant book, loved it! The descriptions were so vivid, & the characters so strong, it completely absorbed you into the story. Extremely exciting, I really couldn’t put it down. Sad to have finished it, but glad I still have the rest of your books to read! I’d give it 10/10, ticked all my boxes! I just finished Follow Me. Great read!!! Will the other books in the series be published in the US? I loved FOLLOW ME. I liked Moast. A lot. I’m also disabled & also love writing. I would’ve joined police myself had I not been disabled. I’ve fond memories of ‘the bill’ which said book reminded me of. I put short stories up on my Facebook sometimes – said book features in latest. I have just finished the 3rd Nas and Freddie book. I couldn’t put any of them down. Saddened there isn’t another one waiting but I will be looking out for any of your work. I’ve just finished the three Freddie and Nas books and I loved them, are you doing another one in the series for 2018? Read the 3 Nasreen and Freddie books , absolutely amazing , could not put them down . Hoping for more with these two characters .